Apple’s most advanced iPhone saw its shipping times slip to weeks in the minutes after it first went up for preorder on Friday morning. 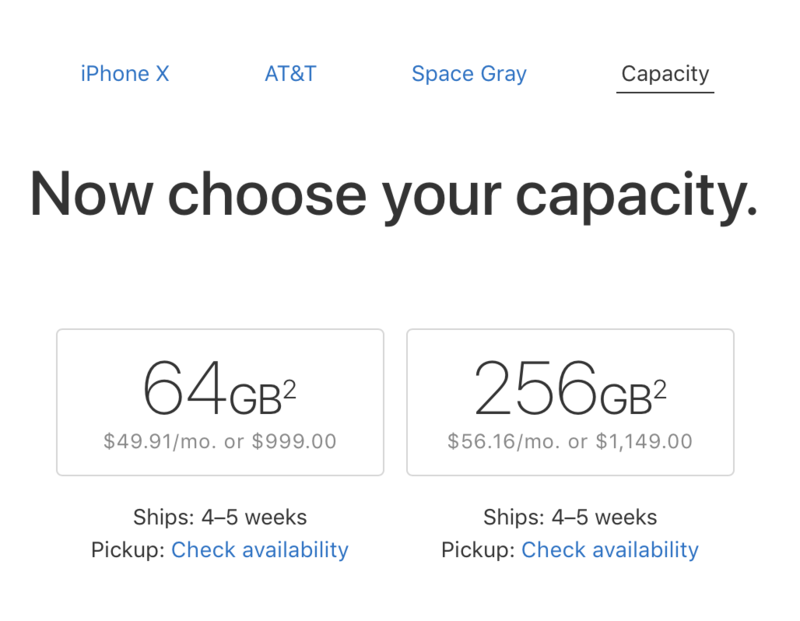 Less than an hour after launch, models for all four US carriers on Apple’s online store were showing delivery times weeks after the device’s November 3 launch date. In some cases, Apple’s website now says the iPhone X would be delivered in “2-3 weeks.” Other people got confirmation messages that said their iPhone X wouldn’t ship for four to five weeks. “We’re working hard to get this revolutionary new product into the hands of every customer who wants one, as quickly as possible,” the statement continued, mentioning that Apple stores will have stock on November 3. The iPhone X will be in short supply for the rest of the year, according to reports from Apple’s factories in Asia. The reason for the shortage is that several of Apple’s components, like the 3D True Depth camera, are delicate and difficult to manufacture. If you weren’t lucky enough to nab a preorder, your best bet is to line up at an Apple store or another authorized retailer on Friday. Just get there early.